Stormandstars.net: Last Call for my Giveaway! 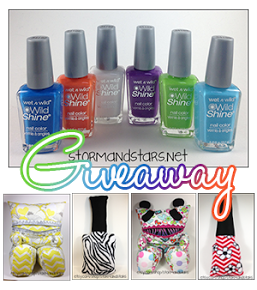 Last Call for my Giveaway! Sorry I've been MIA for a bit! Things have been crazy here and I've barely had time to do my nails, but I have a TON of swatches coming soon! I just wanted to remind you all that my giveaway ends TOMORROW at 5PM EST!! Click on the banner over in the sidebar or the image below to go to the giveaway page and enter! Hello Kitty Sugar Skulls Twin Nails! My Very First Blogger Giveaway!